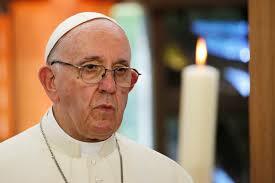 Pope Francis, since his election has been a leader characterized by his own contradictions. As soon as he sat on the throne of Peter, he became the darling of the Social Justice Warriors crowd. This is specially true in Western Europe's media. (and by default, in North America) The mostly secular, anti-Catholic at its core, very leftist, IVth Estate, as they are often described, could not write enough articles, publish enough documentaries to laud the character and the works of this Pontiff. His surprising, and often shocking declarations in regard to gays, unmarried couples, the mostly muslim migration wave that overtook Europe, his alignment with some of the worst enemies of the Church, his critics of President Trump, or more recently his cautions about a supposed return of anti Semitism: all have been welcomed with kudos by the Press corp, who cannot find enough adjectives to sing his praises. At the same time, we have had some push back coming from some more traditionalist Cardinals who have demanded answers, albeit without any tangible results; but also coming from a possibly more potent resistance: the demand by victims of sexual abuse by the clergy, for real answers. This has been compounded by the extremely frustrating revelations that some of the most powerful leaders of the Church have been knowingly and willfully covering up and ignoring the grave crimes perpetuated by some of Francis biggest supporters in the Church. For us on Guam these events are very confusing, and very far from our daily concerns. Yet it could have a deep and lasting impact on how we continue to deal with the healing of our Church, following the catastrophic administration of Apuron for over 30 years, and the cover up of sexual abuse of countless victims on our island. Since his interview on the plane taking him back from Dublin to Rome, Pope Francis has sent very confusing signals. I have noted in a post two weeks ago, that many in the local press, made a lot of assumptions regarding the fact that Francis declared that he would handle Apuron's appeal of his conviction by the original tribunal, himself. He further stated that we should have an answer by the end of September. Most of the confusion was about what Francis did say, and did not say. The press in particular, noted that he said that the evidence was very clear. What they failed to note was that he also said in the same sentence, that this was a complex case. He also explained that he had gathered a group of canon law specialist to help him . We all know this oft used adage. Yet in our particular case, it will be essential. When you know who helped the Pope gather his panel of experts, this become very scary. We have been faced by a series of very worrisome developments. First we were told that silence was the right approach. Further the coming Synod has been packed with Francis best allies, assuring that nothing he does not wish to see shall come out. Some of them should have declined, because they have been accused in the coverup, of course that will not happen. Advocates for victims have been systematically dismissed, while O'Malley does his dance routine, trying to convince the public, that he does something about it. What does that mean for the Catholic Church on Guam? Simply stated, with a team of canon lawyers, filled with Apuron friendly "specialists"
Pope Francis, who has covered up for friendly bishops' misdeed, before. could end up being wholly or partially let off the hook by the head of our Church himself. This is very disturbing and very possible. Let us all pray that the Holy Spirit will inspire the Holy Father to follow in the footsteps of Jesus, rather than those of the pharisees. If that is the case, you and whom ever you know and agree with you, better roll up your sleeves and get ready for an epic fight. Just because the NCW has kept below the radar for almost two years, it does not mean that they have disappeared. In fact, they have been very busy prepping their return in force. I shall write a piece soon on the subject. One definite thing you can do, in November is not to elect Neos to any post of influence in the legislature or any other government entity. We must pray that this does not happen, pray everyday for justice and healing for the Church in Guam. If the NCW gets back in power, they will act like a wounded animal, and wounded animals can be very dangerous as they are fighting for their survival. I believe every good Catholic on island, as well as off our shores, are doing just that. Unfortunately, it will take more than prayers to overcome the evil facing us. 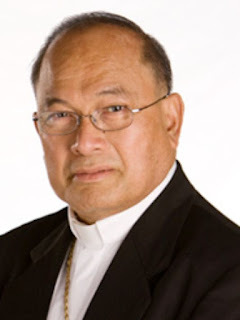 Oh dear...Instead of opening that hole you call your mouth, why don't you provide documented evidence that Archbishop Apuron "covered up" any of the crap that these supposed victims claim.. Is there a cover up to Father Ray Techaira? Monsignor Jose Leon Guerrero? Father Jack? Bishop Camacho?? And if I were you, do a little more investigating with regard to the statements made against Pope Francis because honey, it is well known that the nuncio to the u.s. is a dirty little liar...like you, a wolf in sheeps clothing..
LOL Anon at 2.11Pm, our whole website is dedicated to documented evidence regarding Apuron. There are dates, official documents and testimonies. You just need to get off your lazy behind out of that couch, and go to the references, right here, it is all listed. I am not going to indulge your little tantrum and redo what we have been doing for almost 5 years. If you are really interested, you will find what you ask. If you are just blowing smoke, like most Neos and Apuron apologists, then go back to your sandbox and play with the kids. That is where you belong. 2.11 p.m, good news for you! There is an enormous amount of documentation about the "achievements" of those printed in bold type in the letter, over the years, especially those Rome-based, right at your finger tips. I fear much the same has remained the case in my diocese (and my current bishop is completely in the clear from this, as was the previous one after his courageous attempts) and other dioceses over the years, albeit mostly on a far smaller scale than in yours (and it doesn't much concern me any more as an individual, which individuals this involves - it's their business). The NCW has implanted its baggage in the minds of so many people, who lack the will to discern and to cease package dealing. To relate at all (which is frankly unusual for English catholics) and to look at Holy Scripture, those are insufficient grounds to swallow whole all the "scrutinies", "convivances", "covenants", "guarantors" etc. A bona fide movement wouldn't be requiring any of those things at all. Literature including the Fathers mentions at most a 4 year "catechumenate". Kiko even sung a song about it himself! The glossy brochure says a very different 10 years however. Now if you drift through the "way" for that long, they haven't even held their so-called "initiation to prayer" yet by then. I am trying to get ordinary individuals of good will to pray for your diocese WITHOUT telling their church authorities - which they are NOT required to do. This bad habit of mixing church authorities up (if you see what I mean) with ordinary members - and on top of that patronisingly mixing up "responsibles" and "guarantors" with the church authorities not only in one's own diocese but also of major archdioceses - causes untold harm. I am beginning to think there was something "behind" the attempt by the press to investigate some of our then responsibles though I think that particular family were at the time entirely innocent of attitude, personally, and had been led by the nose unwittingly as apparently quite a lot of "responsibles" are at first - and then after a while they mostly get entangled more and more. Part of the trick is for the first so many years, to appear to "continue as they mean to carry on", which lulls us as to an apparent but non-existent stability in the enterprise. Please tell us who the NCW candidates are so we will know whom not to vote for. Thank you for all you do to protect us against the NCW. I am planning to do just that, in a dedicated article. Thanks for reminding me.